Bhubaneswar: As many as 156 hospitals spread over 27 districts in Odisha have no doctors, state Health and Family Welfare Minister Pratap Jena told the state Assembly today. Replying to a question of Mr Naba Kishore Das (Cong), the minister said the highest number of 30 hospitals in Ganjam district have no doctors followed by Keonjhar and Balasore (ten each), Mayurbhanja (nine), Baragarha and Kalahandi eight each. Mr Jena said, 1,243 Ayush doctors were posted in different hospitals of the state against the sanctioned 1,485 posts and as many as 242 posts of Ayush doctor posts are lying vacant. The Ayush doctors, the minister said are given appointment on contractual basis in 1,243 hospitals. The minister however, clarified that the government has no plans to train the Ayush doctors to prescribe allopathic medicines. Mr Jena said, against the sanctioned posts of 6,286 allopathic doctors in the state as many as 3,260 doctors were posted and 52.60 per cent of posts of doctors were lying vacant. The highest number of posts of 241 allopathic doctors were lying vacant in Ganjam district followed by 202 in Mayurbhanja, 152 in Sundergarh, 135 each in Balasore and Keonjhar,123 in Puri and 119 in Baragarh districts. The minister said, as per the guidelines formulated by the Indian Public Health Standard Odisha requires 6,536 allopathic doctors and 25,667 beds to provide medicare to its people. He said the government has also planned to set up 18 specialist hospitals in KBK and KBK plus areas on PPP mode to provide better health care services to the people. A plan is also on to woo the doctors outside the state by providing them incentives and more facilities, Mr Jena said. Selective Influential (?? Financial Influence) Doctors are posted and continue to stay in their choiced places for decades, giving a mockery to transparent transfer rule (as declared by the government). These doctors force the PGs to work in their private nursing homes in the pretext of learning (as if these nursing homes are recognized institute for PG studies). The unhealthy health services demotivate doctors especially energetic young doctors to avoid government postings. Non-clinical post-PGs are shifted to remote areas without getting absorbed in teaching institutions, probably because they are not financially capable. Interesting . No doctor in 156 hospitals !!! 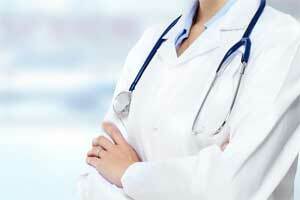 52 percent of doctor vacancies lying vacant !!! The comment of the minister is also most surprising,as if nothing great unusual !!! What the hell this state was doing all these years !!! God save.